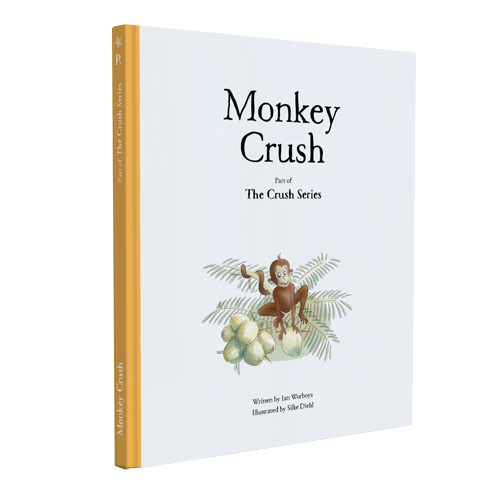 The Monkey Crush is available to preorder now! Monkey Crush introduces human hunting and so allows parents to talk about the reason people hunt. Is it for food or pleasure? The scene is set in India where lions and tigers still exist together. The story brings coconuts to life and shows how an unexpected lunch can save animals from being eaten or hunted.